Remember when I wanted to try and actually achieve some projects I haphazardly pin on Pinterest? Remember that?! I never promised consistency…because, well, I’m not that insane. Consistency and this here little ol’ blog are not friends at the moment. Apologies. Most weeks I change a nappy, miss seventy billion hours of sleep, play with Eleanor nineteen thousand times, put her dummy back in a squillion times, turn around and it’s Friday afternoon! Sheesh. Here we are again. Pretty craft projects and recipes involving more than three ingredients have not been high on my agenda lately. But, I have noticed that I feel 10000% more organised, more productive and more human if I actually get myself into gear earlier in the day, actually showered and dressed before midday – creative pursuits definitely help my state of mind. 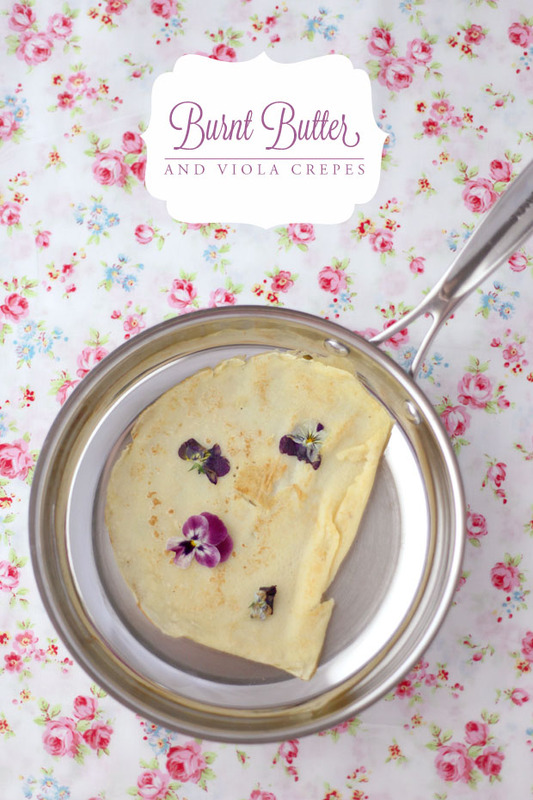 So this week I was determined to create something pretty and scrumptious…enter: burnt butter viola crepes. 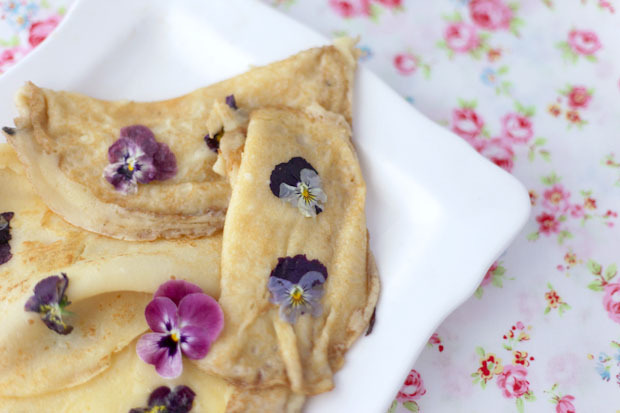 Actually a mash up of two of my recent pins – the crepe recipe can be found here, and the idea to throw around some violas came from here. 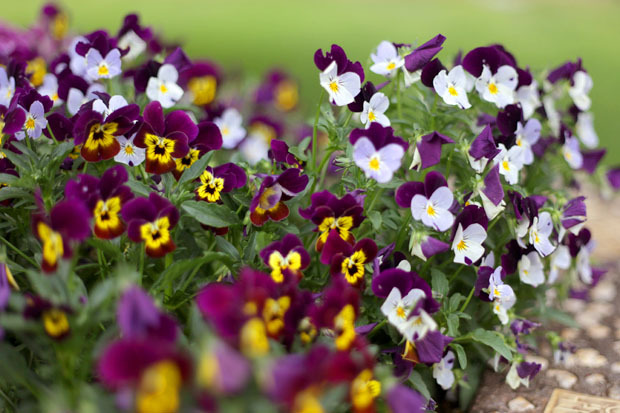 Violas are abundant at the moment in our little wishing well, one of my favourite little annuals, they’re dainty and sweet and edible. You bet. Whack them in a salad and instantly you’ve become very fancy pants gourmet. Nasturtiums are the same, great in a summery salad, but I don’t have any of those in my garden. 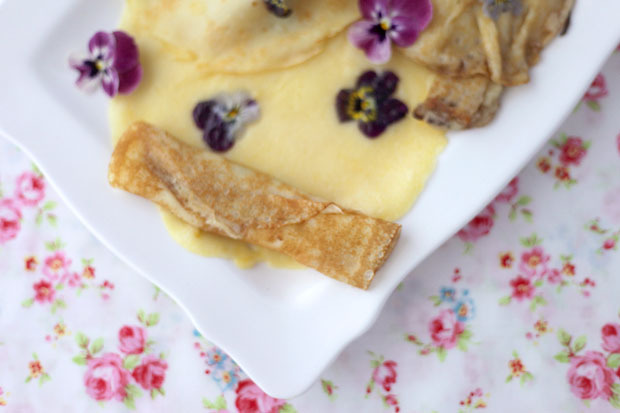 This crepe recipe does seem a little tedious – what with all the browning of the butter, the bringing things to room temperature, the blender, the buttermilk…but trust me – these crepes are deliciously worth it. Burnt butter might be my new favourite flavour/technique in the kitchen. 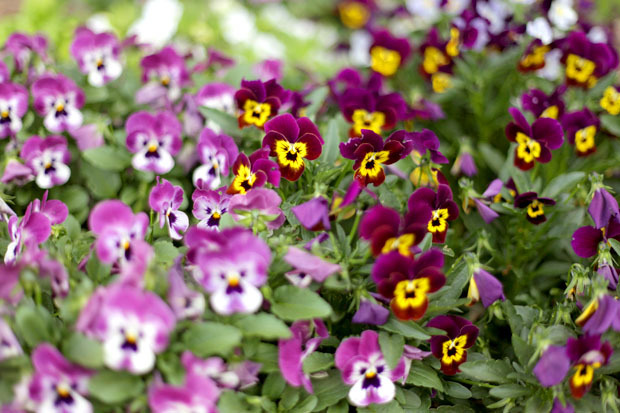 Gently push some violas into the mixture in the pan after it’s hardened slightly around the edges, flip over or roll up and give another press with a spatula. It can be a bit fiddly but you sort of get the hang of it and definitely improve with practice! These would be the sweetest breakfast for a special occasion (a little girls birthday, a hens day, a baby shower). Drizzle with maple syrup, dust with icing sugar, prettiness on a plate! And I totally feel better for actually getting together a blog post, putting my creative pants on (they’re pink and glittery in my imagination) and getting it done. Are you getting it done this week? nothing creative happening here in eons – lots in my head but putting into practise not so much. I’d like to think those pink glittery pants are elastic waisted and soft pant in style and comfort, but looking perfectly sparkly! Oh my. I have wanted to do 1000 pins forever and just can’t seem to get it done. I have finally had a breakthrough with my little lady who is now seven months old she is sleeping through the night so it allows me a little time at night to get a few things done. Mind you I am soon to follow her to bed. 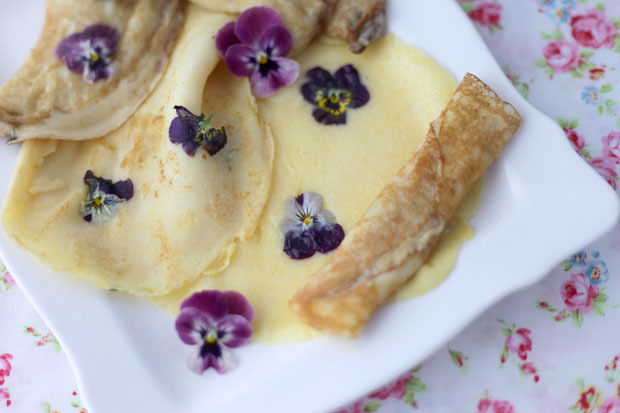 The crepes look lovely, probably a little to labor intensive for me though. No I haven’t been that productive, well not creative anyway … those juices seem to have dried up. Can’t say I’ve eaten flowers recently and yes I’ve got a pile of pins I should get my creative juices going on.